Heading backstage for our morning’s work. This morning we had a wonderful rehearsal in the Pavilion Theatre in Dun Laoghaire. 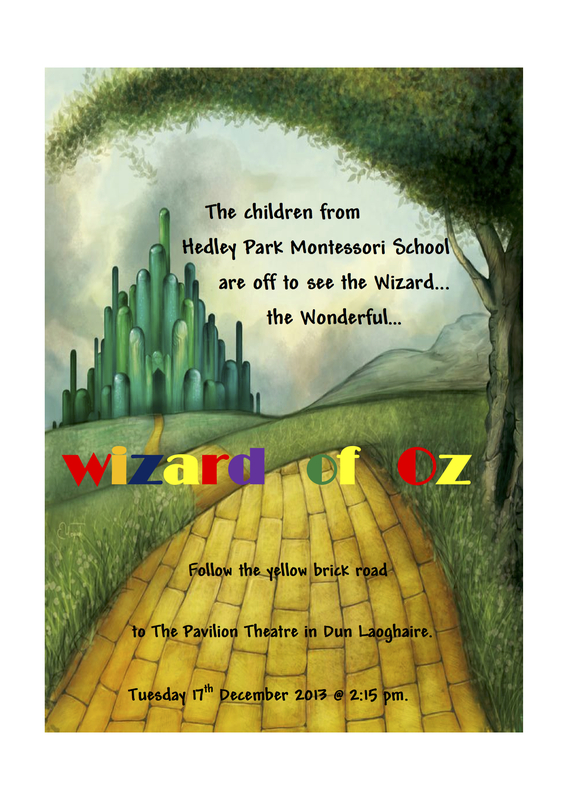 The children were so enthusiastic to get on stage and practice their lines, and I have to say (having see in it in full myself for the first time) that this year our parents are in for a big treat. Voice projection, grace of movement and wonderful stage presence were evident in all the characters, and with some certainty I can say that we have the sweetest lollipop guild and lullaby league in many years! I’m sure all the performers are sleeping soundly after their day, but we staff are very excited to let you see how all the hard work is coming together. With that in mind here are a few “sneak preview” photos from our morning’s work. See you on 17th for a magical afternoon in Oz! Oz will get your Christmas off to a magical start. We cordially invite you to follow the yellow brick road. 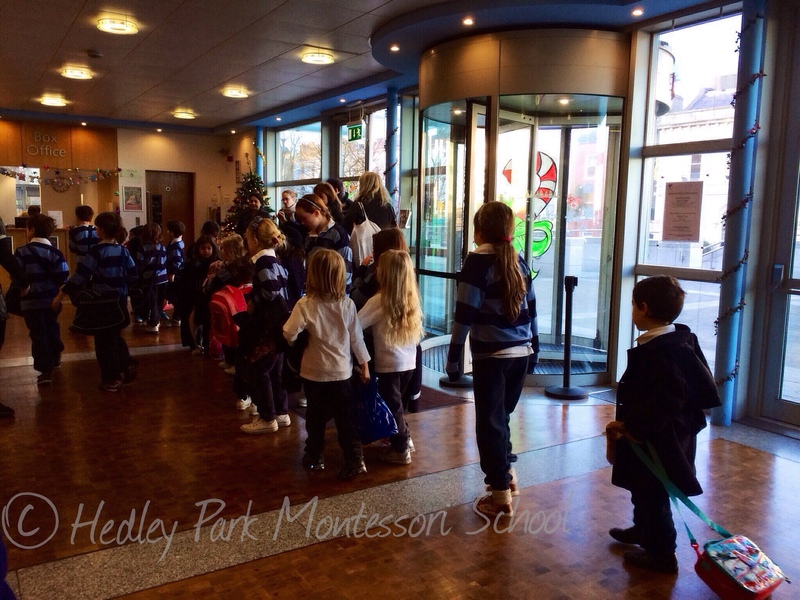 We are delighted to announce the 2013 Hedley Park Christmas Play. Tickets are available from the school, please contact your child’s class teacher or ring the office to reserve yours. See you in the Emerald City.